This post is a continuation of What’s causing your thyroid issues and what to do about them, and goes into more specifics than that overview post. The HPT Axis describes the hormonal interplay between the hypothalamus, pituitary and thyroid, but there’s a lot more to thyroid function than these three components. Only taking into consideration hypothalamic, pituitary and thyroid function doesn’t dig deep enough. It also implies that thyroid function is controlled via the HPT Axis per se, which is hardly the case. Western medicine relies on treating conditions in isolation, which tends to blind it to big-picture orientation. For example, when there’s excessive Thyroxine Binding Globulin (TBG)—(pattern #3 described in What’s causing your thyroid issues)—the cause of hypothyroidism lies not in the HPT Axis, but is due to the creation of too many thyroid hormone transport molecules in the liver. There are numerous factors that can and do impair thyroid function that don’t stem from a dysfunction in the HPT Axis. Let’s develop a more inclusive understanding of all the steps that take place to ensure healthy thyroid function, which requires us to go beyond the HPT Axis. The hypothalamus is the boss. It calls the shots from high up in its fancy office deep inside the brain. The pituitary gland, its executive assistant, carries out its decrees. One of the hypothalamus’s decrees comes in the form of Thyroid Releasing Hormone (TRH), a hormone it produces and sends to its executive assistant, the pituitary gland. The pituitary gland, in turn, produces Thyroid Stimulating Hormone (TSH), which is emailed to the thyroid gland to kick it into gear. When the hypothalamus determines that its assistant, the pituitary, isn’t delivering the message to the thyroid to upregulate its production of T4 and T3, it pumps out more TRH. When it’s happy with the thyroid’s production, it downregulates the production of TRH, which causes the pituitary to stop harassing the thyroid. As this happens, TRH, TSH, T4 and T3 levels fall into a dynamic balance, and office politics are replaced by company picnics—with low carb fare, to be sure. If the hypothalamus, pituitary and thyroid were all there is to the story of thyroid physiology and function, thyroid issues would scarcely be heard of, and a significant portion of the frustrating health care issues experienced today—especially by women—would be nonexistent. There’s a lot more to the story than just the big guys at the top, however, and we’ll now turn our attention to the supporting cast. As we’ve already discovered, the thyroid pumps out T4 and T3. At some point, you’ve probably wondered just exactly what T4 and T3 are. The “T” stands for tyrosine, an amino acid found in various protein sources like eggs, cheese and meat. The 4 and 3 respectively signify the number of Iodine atoms that are bound to a tyrosine molecule. T4 is a tyrosine molecule that’s been bonded to 4 iodine atoms, T3 is a tyrosine molecule bound to 3 iodine atoms. The T4 and T3 molecules created in the thyroid gland aren’t soluble in blood. As a result, they have to be bound to carrier molecules that will transport them through the bloodstream to their final destinations. As T4 and T3 enters the bloodstream, they bind with thyroxine binding globulin (TBG), the primary transport molecule for T4 and T3. When T4 and T3 bind with TBG, the newly formed molecule is known as bound T4 and bound T3. The thyroid produces 17 molecules of T4 to every 1 molecule of T3, i.e., a 17:1 ratio of T4 to T3. T4 is an almost entirely inactive thyroid hormone, meaning that it exerts a negligible effect on the cells of the body. T3 is the biologically active form of thyroid hormone, and therefore T4 must first be converted to T3 in order for it to bind to cellular receptors throughout the body and exert its influence. The conversion of T4 to T3 occurs in the liver, kidneys, skeletal muscles, the gut, the pituitary gland and in various other tissues of the body as well. Only about 20% of the T4 produced by the thyroid gets converted into T3. Because such a low percentage of T4 gets converted to T3, and our bodies require adequate amounts of T3 to function properly, it’s critical that this conversion take place effectively. Other factors that interfere with the conversion of T4 to T3 include aging, alcohol, estrogen dominance, metabolic syndrome, NAFLD, dysbiosis, alpha-lipoic acid, diabetes, acetaminophen, antibiotics, fluoride, lead, mercury, pesticides, radiation, stress and surgery. It’s fascinating that colon bacteria convert a significant amount of our T4 into T3. When we lack adequate populations of healthy, symbiotic gut bacteria and have an overgrowth of opportunistic bacteria, the total conversion of T4 to T3 is impaired. This is just one of the many reasons it’s so important to have a healthy gut. Unfortunately—and not surprisingly—it’s exceedingly rare for westerners to have a healthy gut microbiota due to poor dietary choices, nutrient deficiencies, medications, toxins and stress. The percentage of westerners with a healthy gut microbiota is an unknowable statistic, but it’s safe to say that 95% of western peoples have significant dysbiosis and some extent of gut issues, regardless of the presence or absence of symptoms. As a result, this major conversion pathway of T4 into T3 rarely functions optimally, resulting in reduced availability of serum T3. In the process of converting T4 to T3, colon bacteria first convert T4 into T3 sulfate (T3S) and T3 acetic acid, aka triiodothyroacetic acid (T3AC). T3S and T3AC are in turn converted into T3 in the presence of intestinal sulfatase. Intestinal sulfatase is produced by healthy gut bacteria. Dysbiosis can significantly reduce intestinal sulfatase levels, impairing T4 to T3 conversion. To convert T4 into T3, the bacteria in the colon first convert T4 into T3 sulfate and T3 acetic acid. T3 sulfate and T3 acetic acid are in turn converted into T3 in the presence of sulfatase. Dysbiosis, small intestinal bacterial overgrowth (SIBO), yeast and fungal overgrowth, intestinal permeability and GI tract inflammation result in reduced sulfatase levels and therefore reduced levels of T3. Deiodenases are enzymes that convert T4 into T3 by removing a specific iodine atom from the T4 molecule. Deiodinases also convert T4 into RT3 (reverse T3), an inactive thyroid hormone. The word deiodinase literally means to remove an iodine atom, hence the name of these enzymes. As mentioned earlier, T4 must be converted to T3 to become biologically active, and that’s the job of deiodinases. There are three deiodinase enzymes: D1, D2 and D3. Type I deiodinase (D1) and type II deiodinase (D2) increase cellular thyroid activity by converting inactive thyroxine (T4) to the active triiodothyronine (T3). Type III deiodinase (D3) reduces cellular thyroid activity by converting T4 into reverse T3 (RT3). The deiodinases respond to our changing needs for thyroid hormones, and are up or down-regulated accordingly. The activity of the deiodinases determines the tissue and cellular levels of T4 and T3. Blood tests, which measure the various circulating thyroid hormones in the serum, don’t measure the amount of T4 and T3 that is entering the cells, and therefore aren’t predictive of deiodinase activity or what’s taking place intracellularly. The HPT axis influences the amount of circulating thyroid hormone in the blood, but it’s the deiodinases that deliver it into the cells. This is why it’s crucial to consider a patient’s history and symptoms when evaluating their thyroid function. One of the most common and altogether frustrating experiences patients have with allopathic doctors is the ever-popular, “Your labs are fine…there’s no problem.” Telling a patient that they’re fine when they know they’re not is hardly helpful, yet this is a very common experience when patients interact with endocrinologists. The suppression and downregulation of D1 activity in the presence of these factors downregulates the conversion of T4 to T3. Pattern #2, Underconversion of T4 to T3, is a common cause of hypothyroid symptoms, and this makes it clear why this is the case. D1 activity is also lower in females, predisposing women to hypothyroidism with resultant depression, fatigue, fibromyalgia, CFS and obesity—all while demonstrating TSH within normal lab ranges. According to the National Academy of Hypothyroidism (NAH), the production of TSH (Thyroid Stimulating Hormone), which is produced in the pituitary, is regulated by the levels of T3 found within the pituitary gland itself, and not serum and/or tissue levels of T3. Interestingly, the levels of T3 found inside the pituitary gland are different from those found outside it. 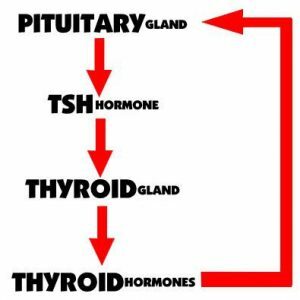 Using the TSH as a indicator for the body’s overall thyroid status assumes that the T3 levels in the pituitary directly correlate with that of other tissues in the body and that changes directly correlate with that of T3 in other tissue of the body under a wide range of physiologic conditions. This, however, is shown not to be the case; the pituitary is different than every other tissue in the body. I don’t know if you’re geeking out yet, but this is definitely geek-out material. And it’ll get even better and geekier just around the corner. Before we move on, let’s first put this in perspective. It’s not possible to use TSH as an indicator of thyroid function—but this is precisely what the medical profession swears by! Endocrinologists will go to war with patients over this topic. Many of my patients receive the “TSH lecture” from one of the local endocrinologists: they’re told that so long as their TSH is in normal range, they’re cured of their thyroid issues–even when it’s clear that they’re hypothyroid. In addition to having a unique make-up of deiodinases, the pituitary also contains unique membrane thyroid transporters and thyroid receptors. As opposed to the rest of the body that is regulated by both D1 and D3, the pituitary contains little D1 and no D3; so pituitary T3 levels are determined by D2 activity, which is 1000 times more efficient at converting T4 to T3 than the D1 enzyme present in the rest of the body and is much less sensitive to suppression by toxins and medications. In the pituitary, 80-90% of T4 is converted to T3 while only about 30-50% of T4 in the peripheral tissue is converted to active T3 [virtually every other source describes about a 20% conversion rate of T4 to T3]. This is due to the inefficiency of D1 and the presence of D3 in all tissues of the body except the pituitary that competes with D1 and converts T4 to reverse T3. That’s a huge amount of information; let’s put it in context. 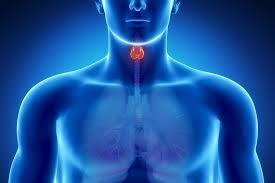 The pituitary gland exerts a major influence over thyroid physiology, and therefore all physiology and consciousness. The pituitary is having a radically different experience of life than the rest of the parts of the body. Perhaps I should have compared it more to congress rather than an executive assistant. The pituitary contains little D1 and no D3, and is awash in D2 deiodinase, which responds oppositionally from D1 and D3. All the emotional and physiological stressors we experience shut down thyroid function via the D1 and D3 deiodinases in the extra-pituitary tissues, but they upregulate the D2 deiodinase inside the pituitary. This is a double whammy of negativity that adds insult to injury, effectively compounding every negative thing we think, say and do. My recommendation on all this is to have a serious look at your psychological and physiological health, today. When would be a good time to let go of the past and move on? Now. 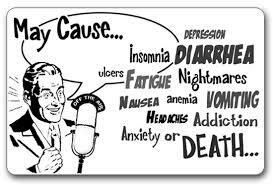 When would be a good time to deal with our poor attitudes, excess weight, autoimmunity, inflammation, leptin resistance, chronic illness, insulin signaling issues and so on? Right now. Do it today. That’s my takeaway. I’ve seen what happens when people develop all these conditions, and invariably these all show up together with a few others mixed in as well. It’s not pretty, and it’s more common than not amongst those in their mid-40’s and older. My advice? Don’t minimize. If you’re dealing with chronic issues, if you’re stressed out, please take action and pull yourself out of where you’re at…and start now.